Helping people pursue their dreams and goals is the vision that sets Edmondson Construction on fire. Our story started and continues to be an Alaskan one. We love working with Alaskans and Alaska businesses. We are working to be your first choice when choosing an Alaska Construction Company. Please take a minute to get to know us. We’d love to answer any questions you have! The joy they receive from seeing people pursue their dreams and goals is the visions that set Edmondson Construction on fire since meager beginnings in 2002. They believe that there is no better honor than being allowed to be a part of someone else’s success. This is the root of who Aaron and Charlotte are and the business they have created around that truth. Since 1993 Aaron and Charlotte Edmondson have found a true calling for their lives within the construction industry. Just a young couple set out to do what each had grown up learning through their childhoods. It seemed almost second nature that both paths would form where two passions collided. These beginning push Aaron and Charlotte to strive to become your first choice when seeking an Alaska Construction Company. People are born with gifts. Inherent gifts, of things they are good at. Aaron and Charlotte both grew up and thrived within construction families. Charlotte, grew up living in a household with a father building national award winning custom energy-efficient homes. He set the bar high for her with integrity and craftsmanship. Aaron Edmondson was also brought up in a family where his gifts for building, constructing, designing, and refining. Construction has always been a part of their lives, and it became their passion. Aaron wasn’t satisfied with just knowing what he had learned. He thrives on the challenge of refining his skills and completing some of the most complicated of jobs. Challenges are not something he shies away from. He works hard to make sure that the projects he takes on are on schedule and budget. This has created a long line of clients willing to attest to Aaron’s work ethic, character, and most importantly his capabilities. Aaron began building custom homes right out of High School, branched off into a business of hydronic floor heating for 5 years. He refined his woodworking skills doing Finish Carpentry. He excelled in this and worked on Drew Bledsoe’s personal home in Bend, Oregon (starting quarterback for the New England Patriots from 1993 to 2001). It was an incredible home with elaborate woodwork that very few carpenter’s skills could do. Aaron was born in Anchorage and raised in Homer, Alaska. He moved and lived in Bend, Oregon for about 15 years continuing to work within the construction field. In 2009, Aaron and Charlotte’s life path brought them back to his home in Alaska and they love living here. As Aaron has earned a trusting reputation throughout Anchorage, his commercial contracting business has grown. Alaskan’s want to work with experienced, trustworthy Alaskan’s. He has created a network of like-minded sub-contractors that work with the mindset of looking out for the client’s best interest. They continuously put themselves in the shoes of the client. Seeking the best, most cost-effective way to get a project done in a timely manner. They aren’t extravagant people, but they do value quality and quality to them includes investments lasting. Edmondson Construction keeps the best interest of the client in mind with all decisions made. Transparency, authenticity, and trust are the cornerstones of balancing a project; cost to value. They always project long-term outcomes when determining how things are going to last. Living and working in Alaska is an added bonus. 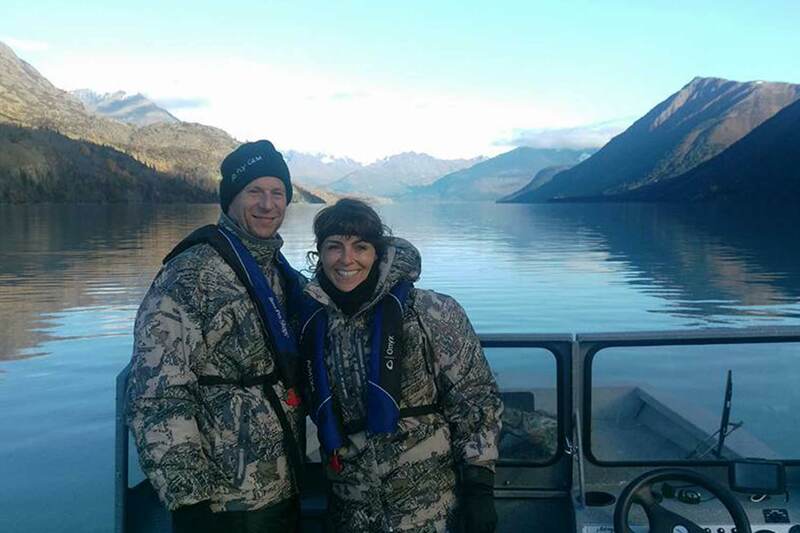 When not working Aaron and Charlotte enjoy the vast expanses of what Alaska has to offer. It’s with these experiences that they both continue to grow as people, and as partners. They are a couple that loves being with friends and family along with meeting new Alaska friends. If you’ve been in Alaska long you’ve heard the saying “Alaska has the best of the best and the worst of the worst”. Aaron and Charlotte are certainly the best of the best. Learn more about us, let’s get coffee and discuss your project.